If you're reading this, chances are you're not only wondering how to start a blog, but you're also wondering how can you turn it into a thriving Creative Business and Career, am I right?! 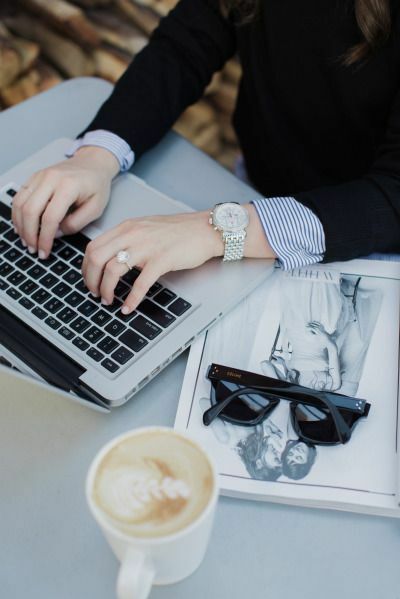 And ideally, you don't want to be a blogger/influencer, but instead, you want to be more than that because being a blogger is not your end-goal; you want to start a business from being a blogger and ultimately have a thriving career that you can be proud of! If that's the case, then you're in the right place my friend! But you've got a tiny little problem... You have absolutely no idea HOW to start a blog and where to turn to. And it's not like you haven't done your research - you have! But you're still unsure as to where to begin with it all?! Well the good news is: all the answers to your questions are contained in this tutorial which is aimed helping you blog your way into a new business and a new career! I'm gonna go out on the limb here and assume that as someone who is/or might be new to the blogging world and presumably with little tech experience, little time to invest in setting up your blog, and lets face it, you're probably not willing to shed tons amounts of money (yet)on setting up your blog, you are wondering whether or not WordPress or Blogger BlogSpot is the right hosting platform for your blog?! Well... to be honest, based on the fact that 1) Blogger Blogspot is way easier - I mean, super easy to figure out and use, and 2) it requires little time to configure and set-up compared to WordPress , then Blogger BlogSpot is the hosting Platform I would recommend you choose for your new blog! Blogger is a free publishing platform owned by Google that enables you to publish your very own blog once you have a gmail account with google. But we'll talk more about that later in this tutorial. P.S. 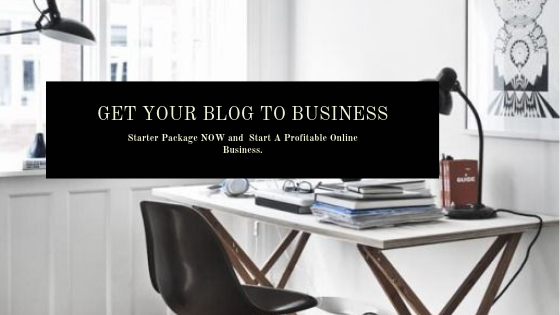 AS A BONUS TO YOU, I have a Complete "BLOG-TO-BUSINESS STARTER PACK" waiting for you at the end of this guide designed to help you kickstart your Online Business like a pro! WHAT ARE THE BENEFITS OF LAUNCHING YOUR BLOG ON BLOGGER BLOGSPOT AND NOT WORDPRESS YOU WONDER?! There's also unlimited options to customise the look and feel of your blog both for FREE or at a premium if you so desire! Point being: you have the option to run a fully-functioning, visually appealing, profitable business blog at zero to little cost compared to if you were to host with WordPress.Org where the blog setup alone is tricky at best and a mind-boggle at worst (especially if you are not techy and do not have the patience for bringing all the different components to launching your blog well before you even publish a post! Now that you know what Blogger Blogspot is and are familiar with it's benefits, here's a step-by-step-guide into launching your creative Business blog. 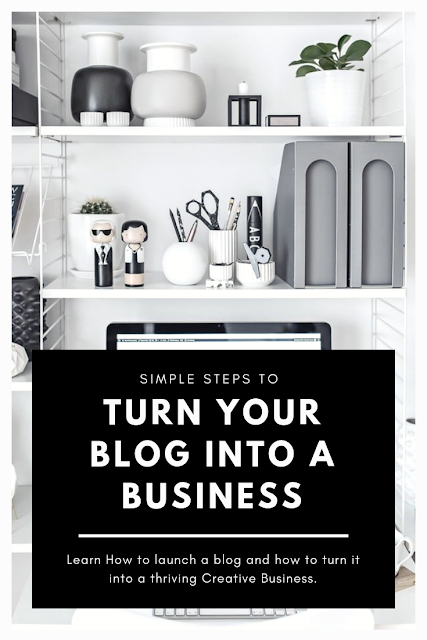 Like I've said already, creating your blog on Blogger is straightforward and super easy! All you’ll need is a Google account, (aka gmail account) to get started! Now, I'm thinking you've already thought about the name you intend to give your creative business or your blog. If you're not sure what name to give to your creative business blog, here's a few tips to remember: keep your domain name 2 - 3 words tops! The longer the name, the more likely there are typos which means potential readers and customers won't make it to your site. Once you've checked if your domain name,( ie your blog site's address) is available, it's time to purchase it before it's gone! Now, at this stage you can decide to go with Google when you're deciding to buy your domain address, or you can do what I did and go with GoDaddy.Com instead?! Personally, I've always used GoDaddy as it is one of the biggest names in web hosting, domain registration, and online marketing sector . I's perfect because it offers a ton of services and aims to be a one-stop shop for most things related to having a website. Plus... GoDaddy hosting also offers unmetered bandwidth, which includes unlimited storage and website bandwidth. And do you want to know the good news? GoDaddy are currently offering new bloggers the option to purchase new domains for ONLY €0,99 - provided you don't already have any other domains with GoDaddy! Go to the Domains Settings page. Under Forward To Any Site, type your blog's URL (e.g. http://www.mynewcreativebusiness.blogspot.com) in the field provided, and click Next. When visitors enter your domain name into their browser, they will now be redirected to your blog site. Once you've successfully created your blog and have attached your URL (domain name) to it, and your blog is live, your blog will now be ready for customising its look and appearance. For starters, you can use Gadgets (the equivalent of WordPress Widgets) to help design the layout of your page. You can use Gadgets to do things like display your blog’s archive, show blog labels in a list on every page, or put your profile on every page. You can change the appearance of your blog using different themes and layouts that freely come with Goggle's Blogger BlogSpot platform and use the Blogger Theme Designer or you can edit the HTML code yourself - again, this is what I highly recommend if you want to stand out as a professional, particularly if your end goal is to launch a thriving Creating Business through blogging! STEP 5: Picking a theme template for your new blog. Now, depending on how far your budget stretches, you can either upload free blogger theme or you can upload a premium themes from third-party vendors. There are a handful of themes (templates) displayed as you create your blog, but you can browse more and customize your blog later. But if you don't like any of Google's free themes and you'd like to customize the look of your blog either for FREE or you're willing to purchase a premium theme, then today's your lucky day because I've rounded up a list of both free and premium Blogger Templates for New bloggers that are available to install Now . You can find out all about them HERE And don't worry, this will also include a step by step instructions to customizing your blog theme. After the optional step of buying a domain and having created your blog successfully, you’ll see your blog dashboard. At the moment it will be empty, but this is where you’ll manage your blog. First of all, Congratulations on creating your blog and future Creative Business! 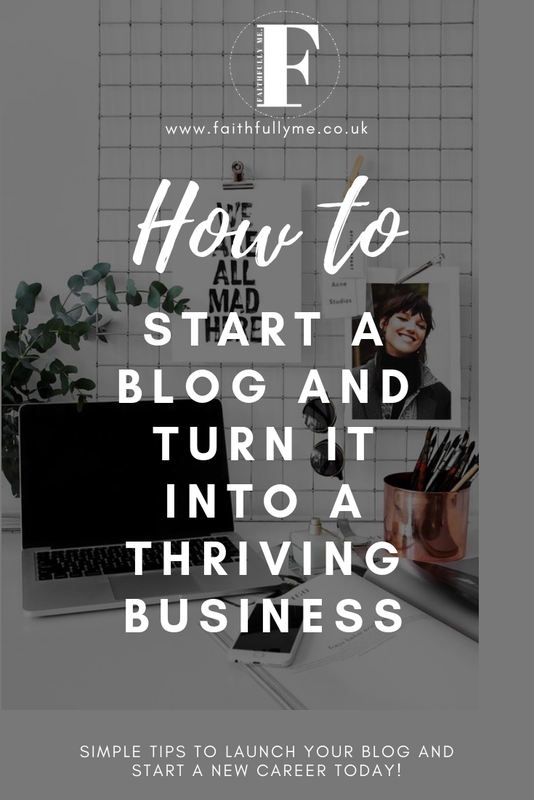 You now have everything in place to start creating blog posts and launching what will be your profitable Creative Business and you're now ready to create a blog post - This is what it's all about my friend! So just FYI: Blogger has a basic WYSIWYG editor with the option to toggle into HTML mode. You can add images and video to your post, or you can embed YouTube videos - the world is your oyster! Write a killer headline that either triggers extreme emotions or curiosity! • Gives you the Options to monetize with Adsense and promote with Adwords, which is fantastic for your strategy to turn your blog into a thriving online business later! SO WHAT IF YOU DON'T WANT TO USE BLOGGER BLOGSPOT TO HOST YOUR BLOG AND YOU WANT TO HOST YOUR BLOG ON WODPRESS INSTEAD? Well, that's perfectly okay too because Wordpress is renowned for being the ultimate blog hosting site. So, to get started with Wordpress instead of Blogger, GoDaddy are offering a 30% Off to begin your blog hosting with them instead of Blogger BlogSpot and the good thing about GoDady is that their monthly hosting fees are as little as €3,99 per month - Yay! 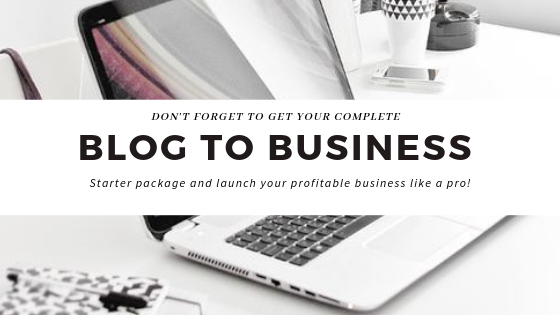 To Get this 30% Off Offer and launch your Blog Too Business journey with GoDaddy, just click HERE and start setting up your new blog! Starting a MONEY-MAKING BLOG is easier than you think! 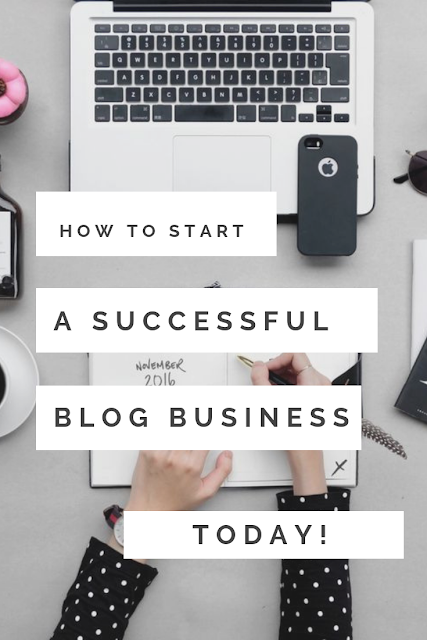 Just follow all these steps and you'll be well on your way to blogging your way into a new career and a profitable business. BUT WHAT IF YOU CREATE START YOUR BLOG AND END UP BEING STUCK FOR COMING UP WITH BLOG TOPIC IDEAS AND WRITING YOUR FIRST EVER BLOG ARTICLE?! "For a one-time fee of €39,95, I am offering you a supply a my"Blog-To-Business Starter Pack" containing 50, yes, a whopping fifty Blog Topic Idea Prompts, plus a tutorial guide on how to write catchy tittles that will prompt readers to want to read your blog, AND... lastly, I'll even include a template for your about page - AKA, the biggest converting page on your blog that has the potential to turn a passer-by-reader into a loyal, die-hard fan of your work and ultimately become your number 1 customer! A FREE Template for writing your About Page. ALL of this in what I call a "Blog-To-Business Starter Pack"
Just CLICK HERE to get your "Blog-To-Business Starter Pack" NOW before this offer is gone!" Simple tips and tricks that copywriters use to write catchy blog posts titles that convert and how you can do it too! You won't believe No. 7!